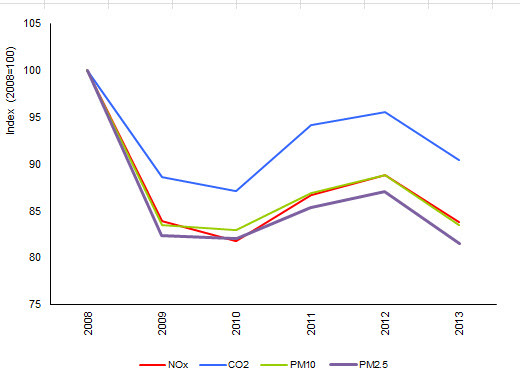 In last decade major emissions of air pollutants from transport decreased. However transport, especially road transport, remains one of the most significant air pollutant. In 2012 road transport contributed 53% to the total emissions of nitrogen oxides. Emissions of substances that cause acidification in the period 1990-2012 reduced by 36%, emissions of ozone precursors by 56%. 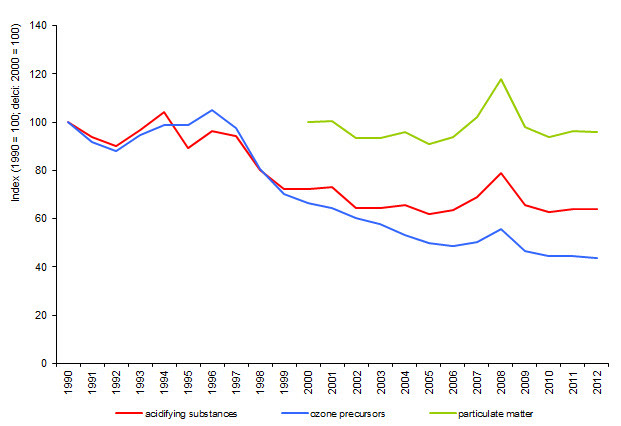 Emissions of particulate matter in the period 2000-2012 decreased by 4%. 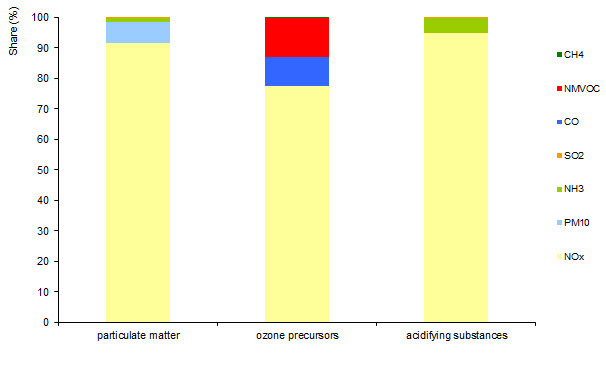 National database on air emissions, Greenhouse gas database, Slovenian Environment Agency, 2014.